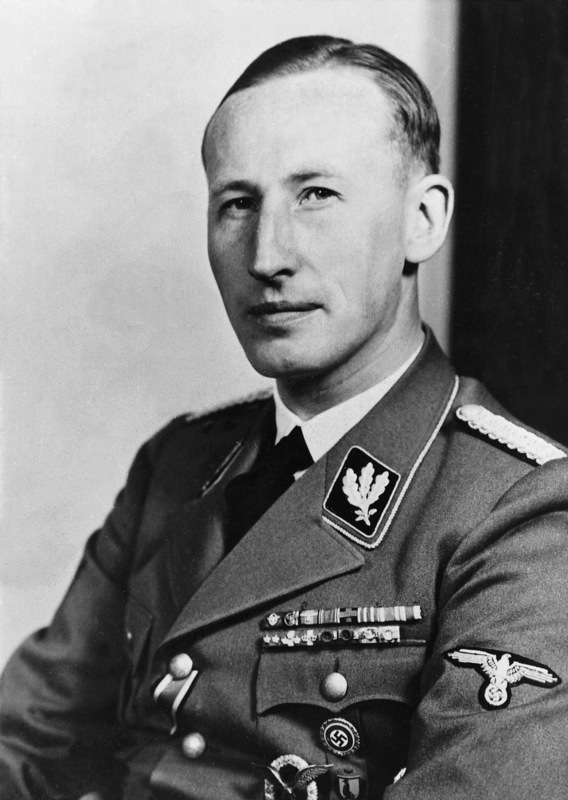 Reinhard Heydrich in his uniform as SS-Gruppenfuhrer. Heydrich was a key member of the Nazi regime, who was central in pre-war attacks on Jews, such as Kristallnacht of 1938; he organised the Einsatzgruppen that followed the army during Operation Barbarossa in 1941 and slaughtered hundreds of thousands of Russian Jews; and he chaired the Wannsee Conference of January 1942 that set in motion plans for the “Final Solution”, the murder of all Jews within Nazi-controlled Europe. Strangely, there were always rumours that Heydrich had Jewish ancestry, rumours he strove to quell. 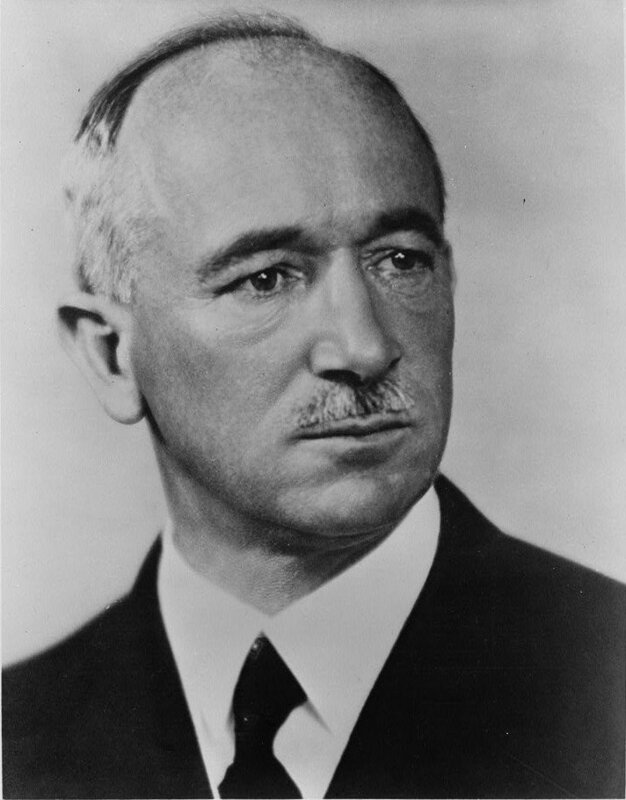 Edvard Benes, president of Czechoslovakia from 1935, had gone into exile in October 1938, after the partition of Czechoslovakia in the Munich Agreement. In 1940 he founded a Czech government-in-exile. He and his staff took a major part in the planning of Operation Anthropoid, the assassination of Reinhard Heydrich by two Czech agents parachuted into what the Nazi government called the Protectorate of Bohemia and Moravia. 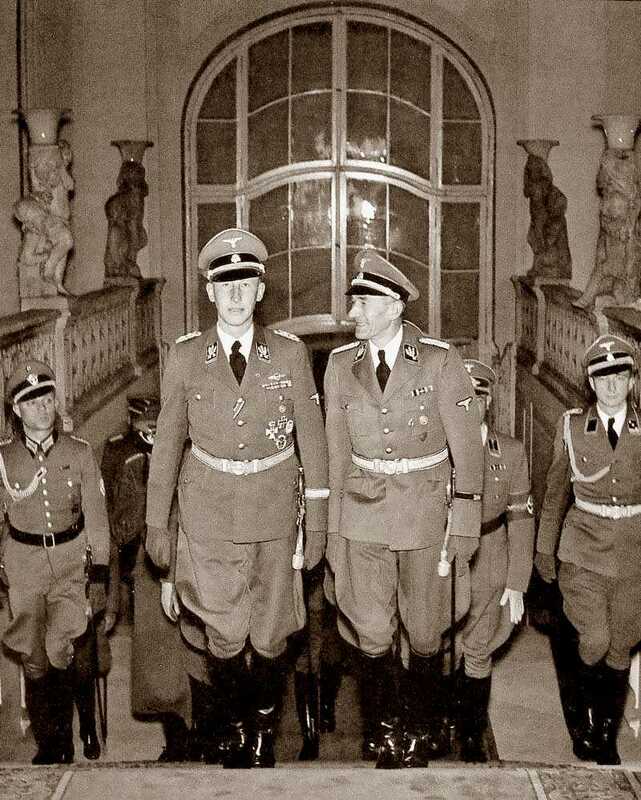 Reinhard Heydrich (on left) at Prague Castle. His predecessor in control of the Czech lands incorporated into Germany, Konstantin von Neurath, was effectively pushed aside and sent on leave because he was felt to have been too soft on the Czechs. Heydrich cracked down on any manifestations of Czech nationalism, but the rewards he gave to workers in key industries increased productivity. 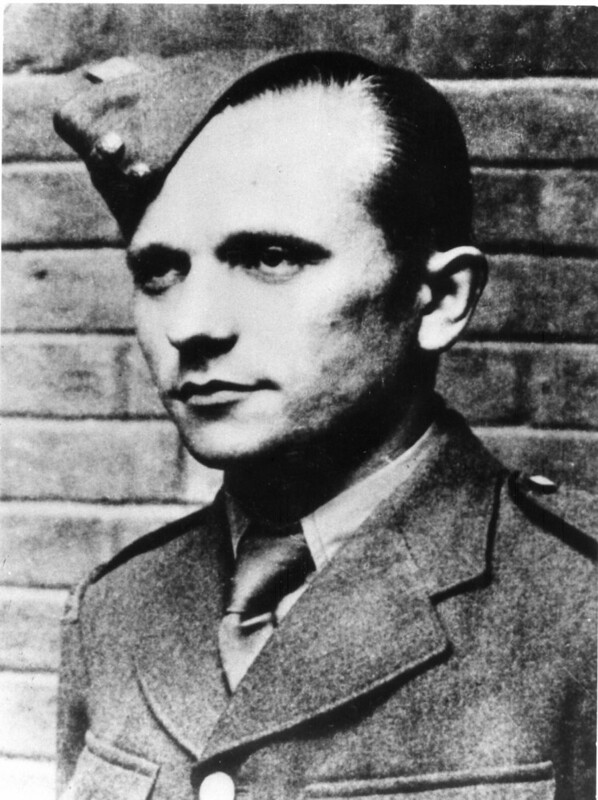 Josef Gabcik, a Slovak, one of the two agents (the other was Jan Kubis) who attacked Heydrich on May 27 1942. The two men had parachuted into the Protectorate in December 1941 as part of a larger group of agents, and spent several months planning ways to kill their target until they decided to attack him on his regular route to and from his home to Prague Castle at a bend in the road where the car would have to slow down. A reconstruction of the key moment of the assassination, on May 27 1942. As the car slowed at the bend, Gabcik attempted to shoot Heydrich with his Sten Gun, but the weapon jammed. Heydrich then pulled out his Luger pistol and tried to shoot Gabcik, but Kubis threw a bomb constructed from an anti-tank grenade that exploded near the back of the car. Although wounded, Heydrich continued to try to shoot the assassins, and ordered his driver to pursue them. The driver was shot and badly wounded by the two agents. 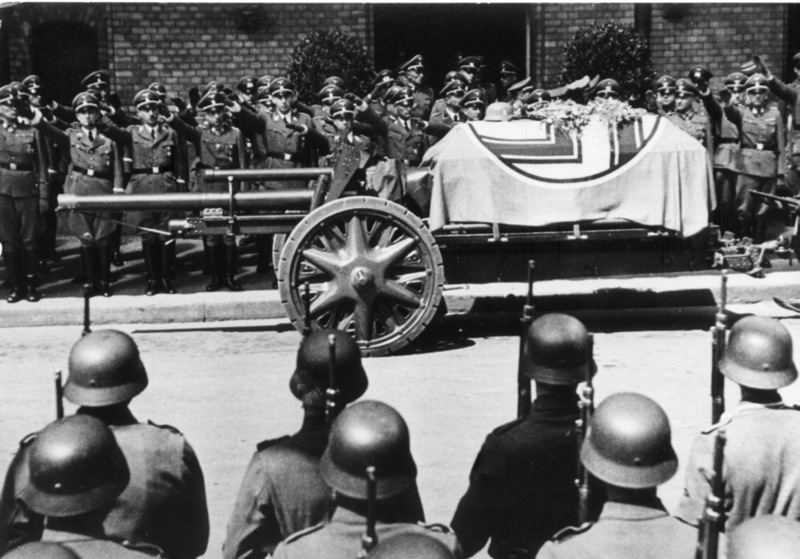 The funeral of Reinhard Heydrich. 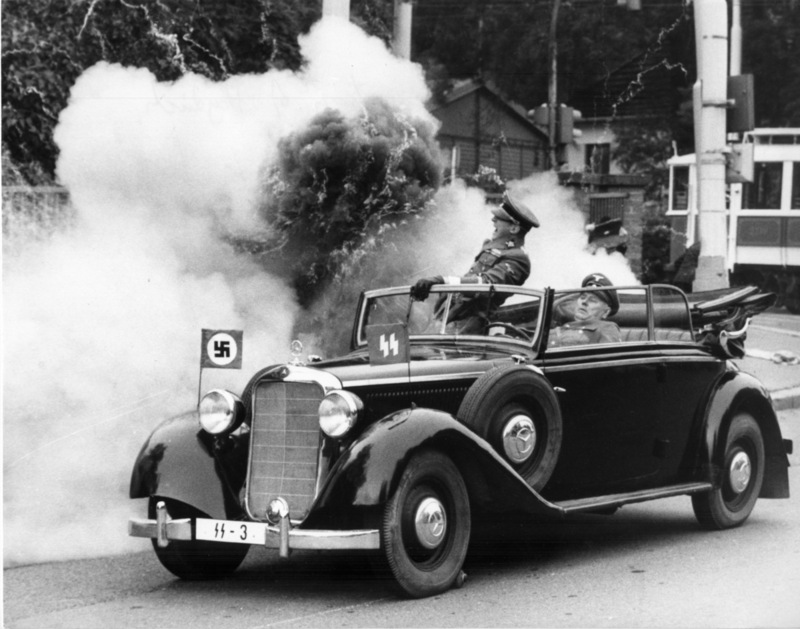 Immediately after the attack, Heydrich’s injuries were not thought life threatening, but he had in fact suffered severe damage to his left lung and spleen, while it is thought that horsehair from the car upholstery was forced into his body and became infected. He died on 4 June. Nazi reprisals were swift: in the village of Lidice, suspected of hiding the assassins, 199 men were killed while 190 women and children were sent to concentration camps. In another village, Lezaky, all 33 adult men and women were later shot. The Cathedral of Ss Cyril and Methodius in Prague, where Josef Gabcik and Jan Kubis eventually hid out after the assassination together with five other members of the underground. They were betrayed and either killed or committed suicide when the Waffen SS surrounded the church on 18 June. 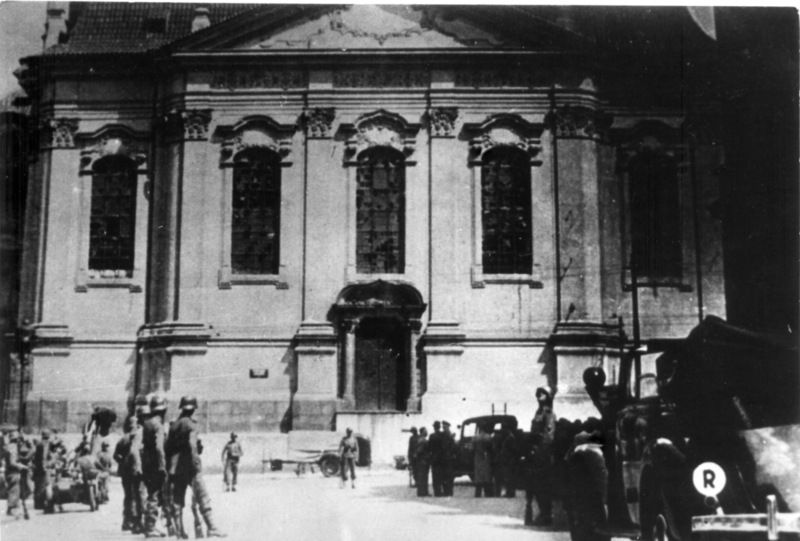 The Orthodox Bishop of Prague wrote to the Nazi authorities taking responsibility for letting the assassins use the church in order to protect Orthodox inhabitants of Prague. He was tortured and finally shot in September 1942.